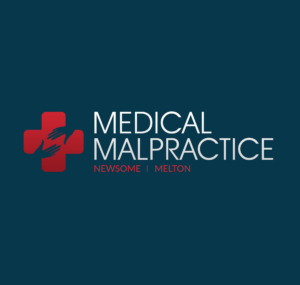 Medical Malpractice Help » Medical Malpractice Causes » Hospital » Can You File A Lawsuit For Emergency Room Negligence? Can You File A Lawsuit For Emergency Room Negligence? All medical facilities have a standard that they must follow to provide adequate care to patients. If injury to a patient is caused by negligence, an entire medical facility may be held responsible. In most medical malpractice cases, the doctor, nurse, or other medical professional on the case is held responsible, but sometimes the clinic, hospital, or office can be held accountable. Patients are able to receive compensation from hospitals when they have been seriously injured outside of the normal risks of medical treatment. Because emergency rooms can get overcrowded, and most patients in the emergency room require immediate attention, it can cause medical professionals to neglect certain patients, resulting in injury, wrongful treatment, or errors in administering medication or anesthetics. In cases like this, the hospital may be held responsible and patients can file a medical malpractice case against the hospital rather than the medical professionals who are administering the treatment. One situation that can cause issues is that in an emergency room, medical professionals do not have to receive informed consent to provide care to a patient. This is because in emergency situations, patients may not be conscious or able to give consent to care, and there may not be any one else around to speak for them, such as family members. Even though medical staff does not have to receive informed consent, they can still be held accountable for any injuries inflicted upon a patient. Misdiagnosis in the emergency room is a major cause of patient injury. Because medical staff is pressured to treat the patient right away, they may not look as closely at symptoms and x-rays as they otherwise would in a less serious case. However, these errors can cause serious injuries and can even be fatal. Some of the common misdiagnosis conditions include the following. Another one of the common causes of patient injury in emergency rooms, which can be a good case for medical malpractice against a hospital, includes acquiring infections. This can sometimes be unavoidable due to patient factors, hospital organizational issues, and other factors. The immune system of the patient, hygiene and cleanliness of the hospital, and level of care provided can all cause patient infection. People who acquire these infections can go into shock, and this can be a serious and fatal condition. A hospital as a whole, rather than a medical professional, may be held responsible for patient injury due to poor record keeping, negligence in procedures, etc. Patients who are victims to these types of situations may consider opening a medical malpractice case. In this situation, they should consider hiring an experienced medical malpractice lawyer to help them in their case. Millions of Americans are treated at local emergency rooms nationwide and the staff prides themselves on the high level of care and respect afforded each individual patient. However, emergency room errors can result in devastating consequences for a patient and his loved ones. In an environment where optimal urgent care is a necessity, the prevalence of reduced staffing levels has led to healthcare professionals being expected to provide care to a greater number of patients than ideal and increasing the likelihood of emergency room malpractice. How Do Emergency Room Errors Occur? Emergency room errors can occur during any part of a patient’s time in the hospital, and they include not being seen by a doctor as promptly as symptoms require, incorrect dosage, or wrong prescription medication. There is a wide range of emergency room errors that may occur as a result of patient care received by a doctor, nurse, surgeon, or allied health provider. These include infections, negligence, birth injury, prescription and over-the-counter medication errors, and an incorrect diagnosis. Given that patients are choosing to utilize the ER as opposed to visiting their primary care doctor it is essential that admission personnel and triage staff thoroughly evaluate a patient’s condition when deciding how quickly they should be seen by a doctor. By initially failing to recognize symptoms of a heart attack, significant injury to internal organs, or suicidal tendencies a patient may be discharged too early or misdiagnosed. In such instances the likelihood of a fatal outcome may be increased leaving the medical professionals responsible for their emergency room error. Certain conditions may not result in serious consequences when not promptly diagnosed, however in cases where the risk is high, the doctor’s omission in ordering crucial diagnostic tests or performing the wrong procedure can have tragic consequences.